For better or worse, they don’t make ‘em like Picnic anymore. William Inge crafted his 1953 Broadway hit at a time when two-and-a-half-hour dramas were the standard, not the bladder-testing exception they are today. With its novelistic heft, lumbering pace and overpopulated cast, Picnic is a product of its time. But rather than attempt to reproduce a more propulsive Picnic for impatient 21st century audiences, director William Hayes’ season-opening interpretation at Palm Beach Dramaworks deftly colors around the edges of the main storyline, spelunking the script’s peripheral action for new revelations about Inge’s mid-century, middle-class, Middle-American strivers. It’s the same Picnic, only this time with a more egalitarian sense of melancholy. The play is set in a backyard connecting a pair of well-worn two-story houses in small-town Kansas, beautifully rendered in another capacious and verdant Michael Amico set, detailed down to the functional water pump and the fallen leaves scattered on the shingled roofs. Lighting designer Donald Edmund Thomas paints this lived-in exterior the color of sun-bathed wheat. It’s Labor Day, the unspoken end of an era, and Flo Owens (Patti Gardner) plans to celebrate the holiday with her two daughters, the golden-locked beauty Madge (Kelly Gibson) and the homelier bookworm Millie (Maren Searle). Madge is going steady with her straitlaced, tragically smitten neighbor Alan (Taylor Miller), but the future of the Owens clan will soon be thrown into a tailspin with the arrival of Hal (Merlin Huff), the archetypal charismatic drifter who feels most comfortable without his shirt. A onetime fraternity of brother of Alan’s and a former football prodigy, Hal has found himself mysteriously penniless, riding the rails and coasting on his animal magnetism. He catches Madge’s eye, and she wordlessly catches his, ensuring certain heartbreak for poor Alan. There is no actual picnic in Picnic; the three-act structure is divided between Labor Day morning, sunset of the same day, and the following morning—time enough for everybody’s paradigms to shift. Picnic is about people desperate to prove they are more than their surfaces suggest, and the second act marvelously crystallizes the emotional maelstroms underneath those facades. Hayes’ direction is at its most masterful here, starting when dancey jazz licks emanate from the Labor Day party (composed for this production, by the way, by expert sound designer Steve Brush). Everybody moves to the groove, but not everyone can keep the beat. Millie, who has shed her tomboy couture for a feminine dress to lure Hal’s gaze, struggles to pick up his urban choreography, which proves effortless for Madge: The glamorous people find themselves in perfect sync, while Millie sequesters herself near the outhouse with a bottle of whiskey. Meanwhile, Rosemary Sydney (Margery Lowe), a schoolteacher who has been renting a room at the Owens’, visibly clings to a potential future with her cold-footed businessman beau Howard (Michael McKeever, with hucksterish suspenders and an untrustworthy moustache). Ancillary characters earlier in the show, Rosemary and Howard share the emotional tumult with their younger co-stars, equally affected by the whiskey and hot jazz. Thanks to Hayes’ fraught mise-en-scene—which isn’t the only time he situates key actions in the shadowy corners and hidden nooks of Amico’s set—they create a vivid canvas of misplaced bitterness, lust and embarrassment. Searle beautifully, subtly inhabits Millie’s aching frustration, effectively embodying someone who is insecure in her own flesh but whose mind races faster than anyone else onstage. But it’s Lowe’s finest hour: She has arguably never been better, discovering in her vulnerable educator a kind of virtuosic sadness that feels like the beating heart of Inge’s story. Hayes also draws excellent supporting work as usual from Gardner, who exudes a world-weary dignity as the Owens matriarch, and Elizabeth Dimon, offering warmth and comic relief as Flo’s next-door neighbor, Helen. Julie Rowe, Natalia Coego and Riley Anthony fill out the cast, and they’re all fine, but their characters are as unnecessary as sweaters on an August afternoon. Huff’s is the hardest performance to judge. He certainly looks and acts the part; his Hal is a beefcake hayseed, all dim and sinewy, and he gesticulates his character’s many confabulations with a storyteller’s gusto. He’s able to deliver some of the script’s most dated lines—“You came out on the porch looking like a pretty little doll, but you’re a real woman, aren’t you?”—with unselfconscious honesty. There’s an intelligence in Huff’s eyes that he shares with a young Paul Newman, and it’s no coincidence that Newman’s breakthrough as an aspiring thespian was when he graduated from a small role in the play to replace the star Ralph Meeker when he left the production. Consciously or not, Huff’s performance seems so emulative of Newman that it’s almost distracting; it doesn’t help that his only stilted moment in the show happens be his climactic exit from the stage. Because it feels false, Gibson’s subsequent breakdown feels unwarranted. Hopefully both actors will grow more comfortable with the finale in the weeks to come. The effect of the leads’ downplaying ultimately allows for the brighter shine of this marquee’s other bulbs. Unlike, for instance, the 1955 film adaptation, this Picnic is more ensemble piece than star vehicle. We feel the hurt and pain and innocence lost for everyone involved, and it’s a commendable experience—even if it takes a while to get there. 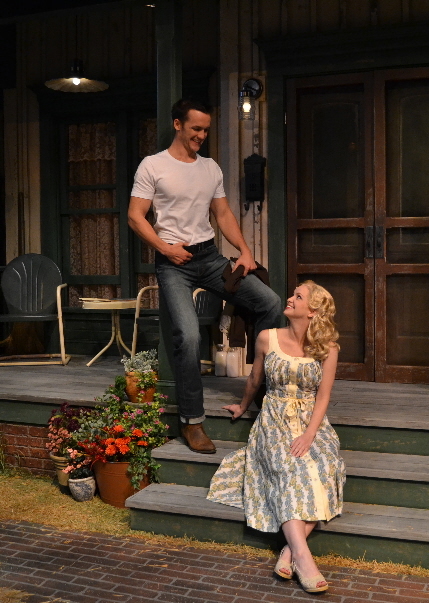 Picnic runs through Nov. 8 at Palm Beach Dramaworks, 201 Clematis St., West Palm Beach. 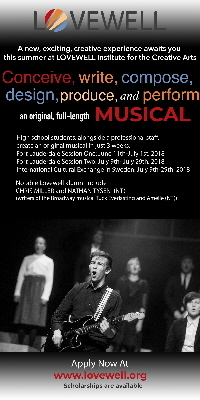 Performances run 2 and 8 p.m. Wednesdays, 8 p.m. Fridays and Saturdays, and 2 and 7 p.m. Sundays. The play runs 126 minutes, plus a 15-minute intermission. Tickets cost $64. 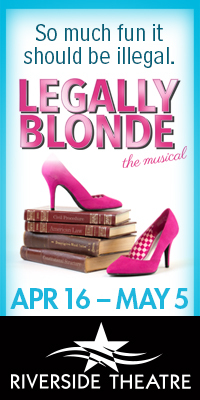 Call 561-514-4042 or visit palmbeachdramaworks.org. This entry was posted in Performances, Reviews and tagged Kelly Gibson, Maren Searle, Margery Lowe, Merlin Huff, Michael Amico, Michael McKeever, Palm Beach Dramaworks, Patti Gardner, Picnic, Taylor Miller, William Hayes, William Inge. Bookmark the permalink. One small correction: Paul Newman played Alan in the original Broadway production. Ralph Meeker played Hal. My gosh Mr Thomason can your thesaurus be worked any harder? Call it what is it, a solid version of Picnic by one of the best companies in South Florida. Bottom line, all parts of this production are fantastic, please go see it. Ignore this dare, I say confusing and almost pointless article.